Yesterday I started at my new position in Barnwell. There’s not a lot to say, other than things have been working out pretty well and I’m looking forward to the rest of the year. Grade five has a lot of interesting things to relearn before I teach it to my new students. For example, I learned today that Socrates was put to death by a jury of his peers for his anti-democratic opinions. He thought that the smartest people should lead in government, rather than the lottery system that was customary at the time. Smart guy, that Socrates. Things are finally coming together in my teaching career. 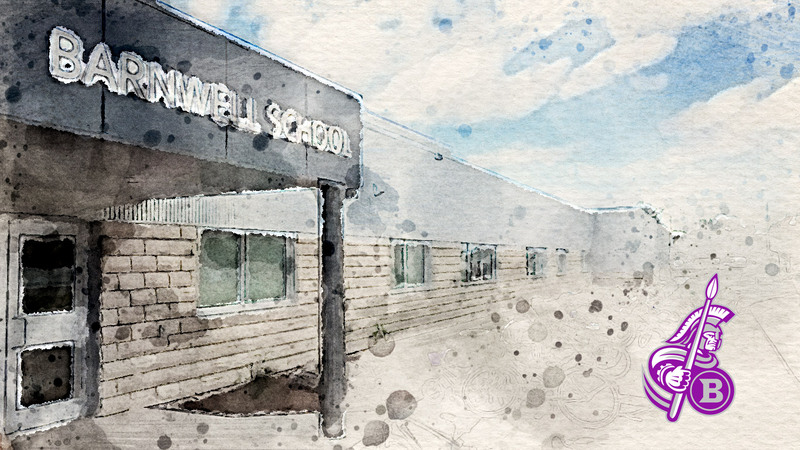 Last June I was hired to teach high school New Media at W.R. Myers in Taber, Alberta! This was my goal when I went back to school and I just have to say, now that I’ve started, it feels great when a plan comes together. The Myers’ sports teams are known as The Rebels and while I’ll always be a MHHS Mohawk / U of L Pronghorn, I think working here kind of makes me a Rebel too. Last Monday I interviewed for a full-time teaching position at a Hutterite Colony. Yesterday, I found out that I got the job! I’m extremely looking forward to it. 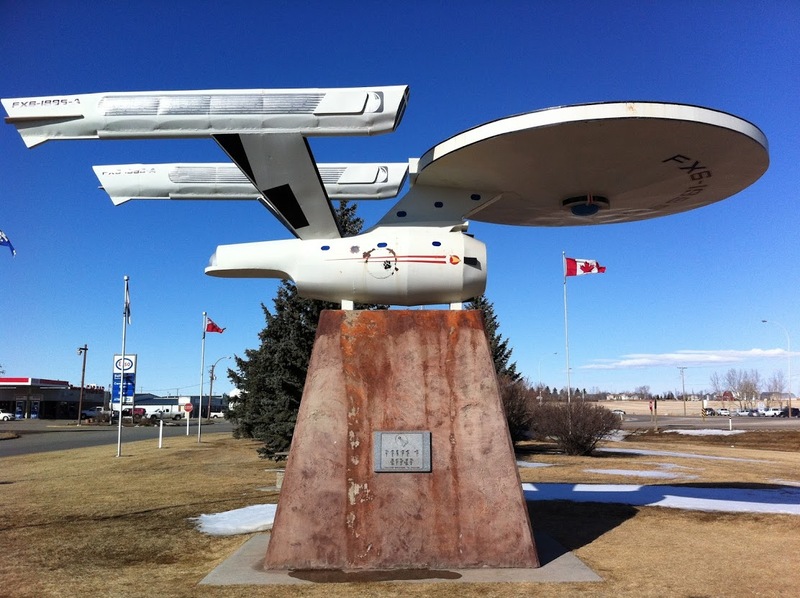 So I drove all the way up to Vulcan, Alberta this afternoon. I stopped by most of the Elementary and High schools along the way. I might even have a job lined up (subbing) for next week. It was about 10:15 the night before my first day at Westminster school. I was worried — should I wear a tie, no tie? Where were my khaki pants? I knew this pent up anticipation was overblown, but the school day would still arrive much too quickly. I was terrified I would wake up late and begin my descent on the slippery slope to failure. Despite my fears, I woke up bright and early, had no problem deciding what to wear, and made myself a breakfast fit for a champion. I arrived exactly one half hour before class and waited nervously in the office for someone to say hello. There isn’t much going on at Westminster at ten to eight in the morning, but I could hear the principal and the secretary talking in another room. Time stood still as I reflected the moment. Memories of my own experiences in elementary school flooded my mind. There were teachers that I loved and maybe one or two that left me with some unpleasant memories. I pondered what Mrs. Day would be like, how she would teach, and how I would interact with the students. When I met her, I knew immediately that we would get along just fine. We took a quick tour around the school. There were so many names of teachers — I remember thinking, how am I going to remember them all, let alone the names of the kids in the class. Mrs. Day asked me to help her prepare breakfast for the kids — Westminster provides breakfast for each student, assuring that they’ve all had something to eat before they are expected to learn. I opened a box of apple juice and began to pour. Juice dribbled out in all directions. I’m not sure why I felt nervous, but I remember thinking sarcastically, what a great way to start things out: the very first thing I’ve been asked to do and I make a mess. No big deal though, Mrs. Day grabbed me rag and I cleaned things up. I finished pouring drinks while she cut bananas and muffins. Next we headed out for supervision and then back into class when the bell rang. I liked watching the control Mrs. Day possessed over her class. She confidently instructed and the students listened. She identified which students weren’t paying attention and called them to order. She maintained the flow by not only identifying children individually by name but also by row; thereby calling a few students to action at a time. She also utilized their birth months when selecting a group of students to go back for second helpings. I liked the efficiency and order and how the students knew the routine and listened patiently for their turn. The smart board lesson on how to write a story was fantastic. First the class listened and watched as a story was read and illustrated. Following that, Mrs. Day discussed with the class the formal elements of a story writing. I tried to watch which students were answering most of the questions, and while there were a few that consistently answered and a few that almost never answered, Mrs. Day did a good job of balancing out who she called on for responses. It was clear that she had given this lesson before and was very well prepared. She is a master at the smart board. It was about this time that hands began to raise to ask if they could go to the bathroom. It was very interesting how some kids got permission while others were told to wait. I wasn’t sure how to feel about making anyone wait, if they said they needed to use the bathroom I would have trusted them to go, but Mrs. Day had experience and knew who was to be trusted and who was trying… not to take advantage, but who might have been more likely to waste time in the hallways. One of the students who asked to go to the bathroom didn’t explain that it was because he was feeling ill. When he came back he sat with his head on the desk. Mrs. Day asked me to mark some math homework, which I really enjoyed. 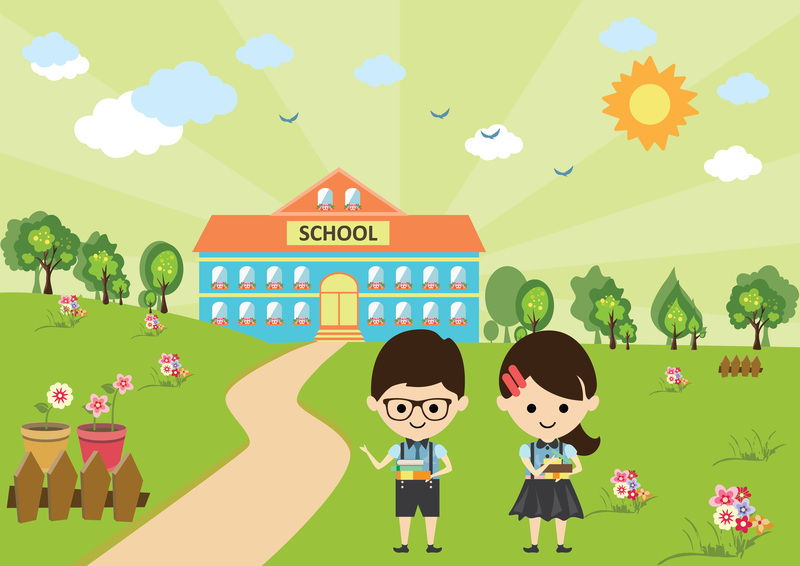 It was something I could do rather than feeling awkward about wandering the classroom and just observing. I had finished marking most of the homework when suddenly Mrs. Day said to me, “Mr. Milner, would you please go get the caretaker, one of the students just threw up.” I looked over and sure enough it was the kid that hadn’t been feeling well. I thought, what a thing to happen on my first day! Luckily it was pretty mild compared to how it potentially could have been. Later, the kids had a math test in which I helped by answering kids questions about what a specific question meant. My limited assistance felt a bit useless but clarifying exactly what a question was asking was enough to help most of the kids complete their answers. Mrs. Day asked me to go out in the hallway with one student in particular and go through the test with her. (I didn’t realize she was a she and not a he… apparently not an uncommon assumption). It was a bit sad to realize that this little girl had a very limited reading ability. In the hallway behind us a police officer was talking with a student. I was a bit shocked to see a police officer questioning a student in an elementary school. I’m not going to say I didn’t enjoy my first day. I certainly felt it to be an interesting day and I’m very excited to be here. I definitely thought the kids were cute and nice. However, I did remember thinking that elementary school wouldn’t be my first choice. I also remember thinking the neighbourhood where the school is located makes a big difference in the kind of issues a teacher has to deal with on a daily basis. I was very impressed with Mrs. Day’s manner with the kids and her clearly well honed teaching skills. She made me feel very welcome and just before I left we discussed what I can do to take part in teaching a lesson with the smart board next week. I’m looking forward to it. 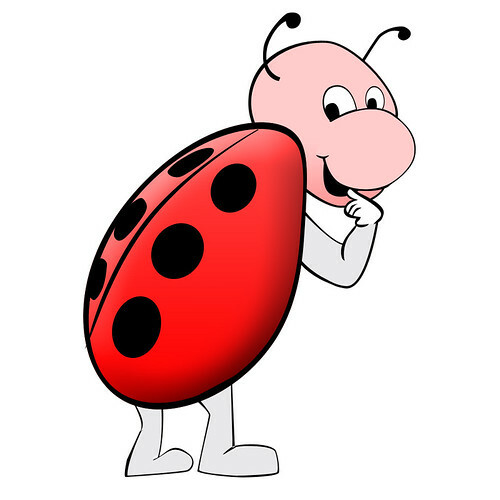 Here’s a new logo I created for a local daycare in Lethbridge, Serendipity Child Care. My friend Shannon Phillips is a freelance writer and journalist. When she asked me to take some photos for her new story, I jumped at the chance. 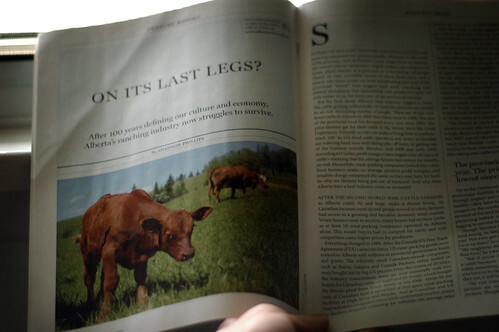 I’m happy to say, the editors at Alberta Views used two of my images for the October edition article. The article is available online (sans photos). I’m doing some work for a client this morning. I’m updating his portfolio for his acting career and ironically, trying to download the tv show which he plays in is proving to be more difficult than I imagined. The CBC is streaming the show in SWF format, however, they’ve made it nearly impossible (as far as I can tell) to save it locally. After spending nearly a half hour trying to work it out, I finally decided to check my favourite bit torrent site. The show in question will be downloaded in about 30 minutes—so much for trying to do things the CBC’s way. 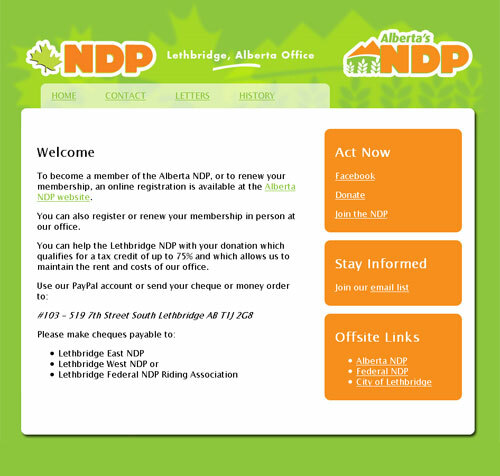 Here is a screen shot of the Lethbridge NDP website that I recently designed. I incorporated design elements from both the Federal and Provincial NDP in order to convey the message that the Lethbridge office exists for both sides of the party. Although I originally used the lime green of the Federal party, ultimately the shade of green that the Provincial side uses is much easier on the eyes. I just finished putting together a site for a small construction company in Drayton Valley, Alberta, Karleb Homes Ltd. Using cascading style sheets (CSS) I was able to keep the “content” of the site separate from the design. I also used Douglas Bowman’s sliding door technique for the navigation tabs which allows greater accessibility for larger fonts and screen readers than say just using regular, old-fashioned rollover images. The footer is actually a repeat of the top menu, placed at the bottom of the screen because that’s really where the user needs it most—ie. at the end of the page ready for when he or she is done reading. For the spacing of the fonts, I relied on Richard Rutter and Mark Boulton’s SxSW talk, Typography for the Web. I took the photos inside Karleb Homes’ newest project. I used my sister’s brand new Canon 5D as well as two of her Alien Bees lighting kits. The yard in the photo used for the header hasn’t been landscaped yet, but will be replaced when the landscaping matches the quality of the house. I’m very pleased with the outcome of the site and I look forward to the making the next one—I love creating nice, friendly, and accessible websites and I’m currently looking for more opportunities, so if you are in need, let me know.